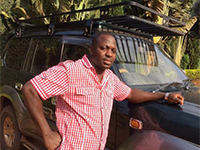 Moses Nadduli – CEO of Simba Africa Expeditions Simba Africa Expeditions was founded by Mr. Nadduli Moses, an excellent Driver / Guide who has worked in the tourism industry across Eastern Africa for more than 10 years. His travel experience and knowledge in this particular field is unrivaled. In him, Simba Africa Expeditions was founded and given a firm foundation to thrive up to this day. 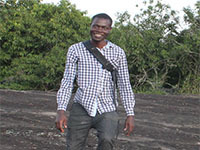 Moses is also the lead tour planner at Simba Africa Expeditions and there is no better person you can trust to organize a wonderful safari adventure than him. Hajarah Namugenyi – Simba Africa Expeditions I am a warm personality, friendly, detailed and conversant with people’s changing needs and cultures that they traverse. I bring to Simba Africa Expeditions ltd value, honesty, and a gift of friendship which cultivates a clientele that keeps coming back to us for all their travel needs. I hold a bachelor’s degree in tours and travel management from Makerere University and I have been in the industry for three years now. I have a Bachelor’s Degree in Information Technology from Mbarara University of Science and Technology. I ensure that the company website fairs well online among many other duties. Simba Africa Expeditions is a dedicated company to giving you a memorable safari tour, you will yearn to have more and more.